Life was harsh and dangerous for the prospectors of the Klondike Gold Rush of 1898-1899. But it was also a grand adventure. Few got rich but those who survived had a tale to tell. 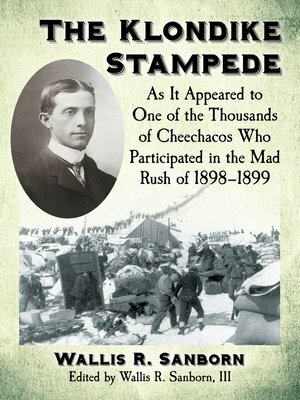 Wallis R. Sanborn's entertaining narrative of his journey from Illinois to the Yukon provides rare insight into the daily lives of the Klondike stampeders. He describes through his letters and diary what they ate, what they wore, the trails they mushed, the roadhouses and tents in which they slept, and the mining process. His original sketches—capturing the natural world around him, his cabin and hand-crafted furniture—and his hand-drawn maps are included, along with photographs, handbills, travel receipts and miner's certificates.